Carpet cleaning might not be our specialty, but when you do need your stains removed we know just who to call! With 27 years in the business Lake Oswego Carpet Cleaning is your answer to keeping your home clean and your carpets stain free. Cleaning your carpets every 6 months is recommended by most carpet manufacturers, if you want to take advantage of your carpets warranty you will find that hiring a professional carpet cleaner like Lake Oswego Carpet Cleaning is clearly the right choice. 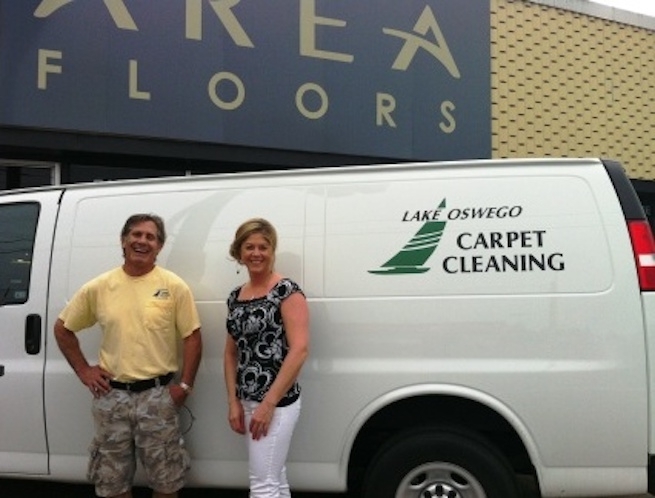 Give Lake Oswego Carpet Cleaning a call to maintain your carpet, upholstery and area rugs. Lake Oswego Carpet Cleaning uses Bi-o-Kleen an all natural, non toxic, cleaners with no harsh fumes so there is no need to worry about your children and pets reaction to harsh chemicals or other toxins that other cleaners can leave behind. Lake Oswego Carpet Cleaning offers carpet cleaning, upholstery cleaning, and can re stretch and repair your carpet. Recently we had our Portland Showroom cleaned, Steve came out and did a great job! Our carpet (over 20 years old) is fresh again, all the stains around the snack bar and dripping coffee have vanished! When we or any of our customers need their carpet cleaned we recommend using the best in town, Lake Oswego Carpet Cleaning! Give Steve a call to get a quote on cleaning today! Lake Oswego Carpet Cleaning (503) 635-3181.